The 63-year-old has worked in a variety of positions within computer sciences for over 30 years, among them as developer, database architect, CASE specialist, project manager, author, IT coach and lecturer for software engineering. Stefan Berner put all the know-how he acquired along the way into his successful book on information modelling, which is now available in English as well, entitled “Information Modelling – A Method for Improving Understanding and Accuracy in your Collaboration” and which can be purchased here. For a year now, Stefan Berner and foryouandyourcustomers have given customers valuable support in the area of information modelling. Interviewed by foryouandyourcustomers, Berner explains why this model is critical to the success of companies, regardless of their size or sector. foryouandyourcustomers: Stefan Berner, what prompted you to make your successful book available to an English-speaking audience as well? The reason is very simple. Our international customers asked whether an English version would also be published. We were keen to accommodate this wish. foryouandyourcustomers: Stefan Berner, all the reviews of your book were positive, and one reader wrote: “The book addresses what is perhaps the biggest problem in software development.” What is that problem exactly? Stefan Berner: The problem is that many companies – regardless of their size or sector – always prioritise the management of data. I am not questioning the importance of neat data management in any way, but I would like to interject: Take a data warehouse: how exactly does placing all the data in this warehouse benefit the company if no-one can actually read it because it in adequately understood in the individual departments? I believe that companies are jeopardising their success, unnecessarily so. After all, data users don’t want to see all the data. They want – and must – work with it and must therefore be able to interpret what it means. Only then will it be beneficial. Modelling of business processes and the data manipulated along the way can never be better than the understanding of the matters themselves. That’s why I always say, by inverse logic: Understanding is the key to good software. foryouandyourcustomers: So you believe that substandard communication between the levels of the company is the actual problem? Stefan Berner: This is how I describe the issue in my book: Experience has shown that inadequate understanding by experts is the main cause of poor software and failed IT projects. Computer engineers need to grasp what the users need. In turn, users must understand how they will use the information and what they should ask IT to do. Often this leads to a “missing link”, the unanswered questions: how do you find the gap between the user of information and the manager of data, and how do you channel the necessary information out of the database and back to the user? My information model closes the gap in this missing link. It is the interface that connects the structured information level with the very structured data level and in doing so fixes many problems that companies are facing. foryouandyourcustomers: Did you develop the information model specifically to do this? 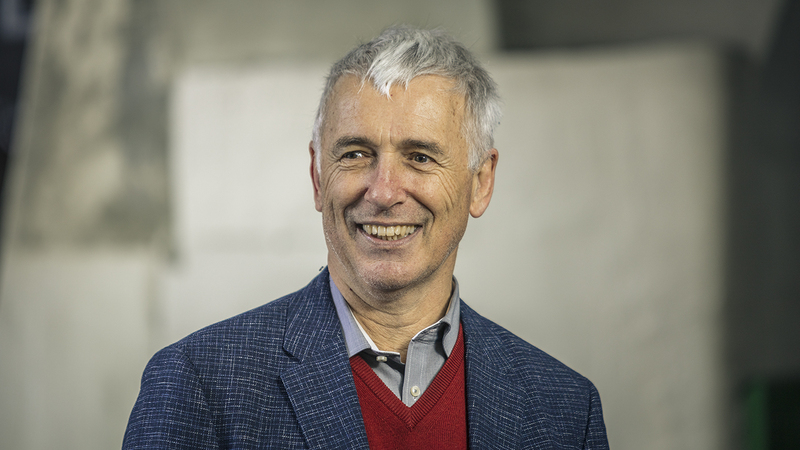 Stefan Berner: The relational model from which the information model originated – or on which it is based – was developed by Codd for data management back in 1972. My contribution is to extend use of the model to the business level. It comprises seven elements that can be used to describe the entire informational world within a company simply and comprehensively. Put differently: My information model from the user’s perspective and my data model from the IT perspective can be transported between the levels unchanged, which is a massive advantage for any company. And I find it difficult to image that there will ever be a simpler way of addressing the issue. foryouandyourcustomers: How does the model help in practice? companies, and applying the information model is a good way of preventing these issues. It provides clear definitions for particular environments, like a glossary, so every department and all employees understand immediately what is meant. Alternatively, a company may decide to roll out a new system and so needs to understand how it should be configured and modified to suit the corporate culture. We use our model to pick up the company where it is and then analyse what its sales process looks like and which information is needed to ensure satisfied customers. In a nutshell: the information model creates a perfect match between technical solutions and business requirements. foryouandyourcustomers: What other benefits are associated with using the model? Stefan Berner: The external benefits are preventing the problems and frictions I described earlier, which in turn improves quality and therefore creates a financial benefit for the company. foryouandyourcustomers: And the internal benefits for a company? Stefan Berner: I would say that it gives the departments a tool to improve communication with each other and IT. The understanding this creates across all levels – from management to business departments and IT – is an immense benefit for any company, quite aside from the improved clarity. Quite possibly the benefit cannot be quantified, but it will enable vastly improved collaboration throughout the organisation, which in turn will increase staff satisfaction. I would also assert that the quality of the model correlates directly with the costs of software. Used correctly, the software will become easier to use and require less maintenance. foryouandyourcustomers: What role does the Exploded View developed by foryouandyourcustomers play in all of this? Stefan Berner: The model was what prompted me to work with foryouandyourcustomers in the first place. Ultimately there are plenty of parallels between the two: both models look at things from the “customer perspective”; information is paramount in both of them; and they both address all layers of information, right through to the customer. 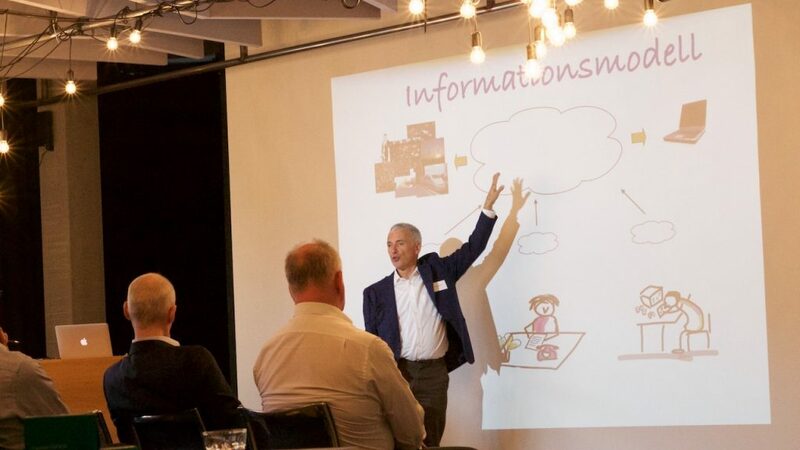 In the end, my information model creates a conduit through the individual levels of the foryouandyourcustomers model, as it enables the conversion and use of IT’s data into information that can be applied in the business departments and by management. foryouandyourcustomers: How was the experience of working with information modelling in the projects? Stefan Berner: The results of the workshops were consistently positive. Our model has been put up as an A0 poster in many departments – even in the CEO’s office at a multinational company. The following customer feedback says it all, I think: “This model is the DNA of our company.” “Since introducing the workshops, we have been able to hold interdepartmental meetings without getting embroiled in disputes about terminology.” “In one of the workshops we solved a problem that has plagued our company for three years.” This kind of response encourages me to keep working on and with the model. 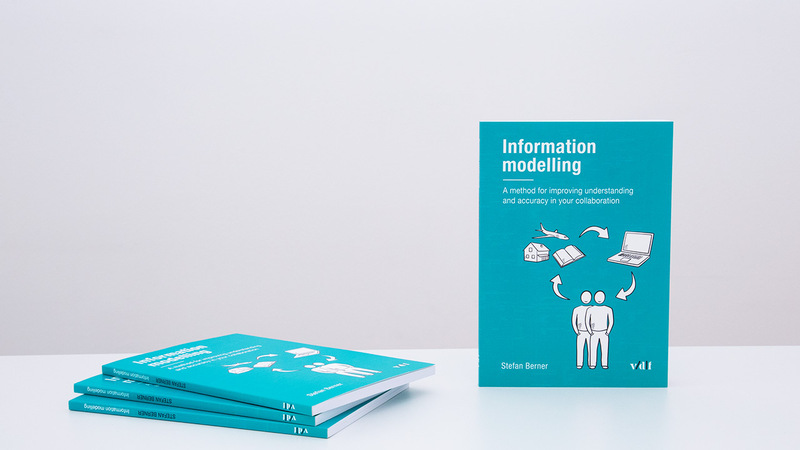 Stefan Berner’s book about Information Modeling is available in German and English for EUR 33.00. To order it, please contact us via the contact form. Soon it will also be available in our shop.